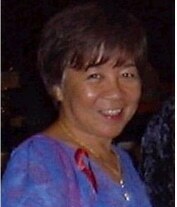 Carol Maghanoy, a retired Registered Nurse, was a great friend and supporter of health and healing for the HIV/AIDS community. Her healing spirit touched many lives of those living with and affected by HIV/AIDS on Kauai. To commemorate her dedication, a fund has been set up in her name to continue to support those living with HIV/AIDS. Through this fund, Malama Pono Health Services clients can gain access to additional care needed to sustain a healthy life. A generous, initial donation of $10,000 was made by Jeff Meredith of Seattle. Jeff’s wish is for the fund to continue to grow allow Carol’s legacy to live on. Donations may be made online here, be sure to make a note that your donation is for the Carol Maghanoy Memorial Fund. Or you can mail your donation by check to Malama Pono Health Services, Post Office Box 1950 Lihue, HI 96766. For more information call (808) 246-9577.